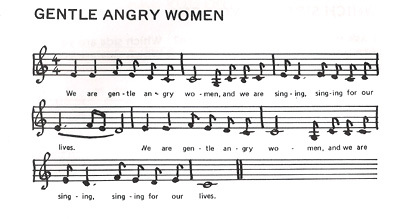 (Greenham Common Women's Peace Camp Songbook) Which Side Are You On? Original author and composer: Holly Near. Altered lyrics by the women of Greenham Common. No information about author. 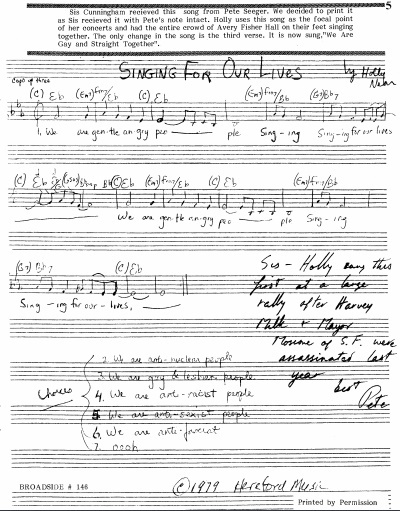 Also published in the Chant Down Greenham songbook. Also typewritten and published in the Anti-nuclear songbook. Recorded in the Carry Greenham Home video 1983. Singer unknown. and we're singing, singing for our lives. We are dreaming for our lives. and we're caring, caring for their lives.